News from Trump Tower continues to dominate everything else, but let’s focus on a local development – a positive one: Mayor Lovely Warren wants to end the city’s red-light-camera program. To my surprise, a fair number of people have been really upset about Warren’s decision. Well, not upset that she wants the cameras taken down. They’re upset at what she says is the main reason: that the program has disproportionately affected poor people in Rochester. The cameras were promoted as a public-safety measure: a way to reduce the number of accidents caused by motorists running red lights. They were put up at many of the intersections with the worst accident record, many of which are in or near the city’s poorest neighborhoods. A 2014 study of the program, updated this year, found that on the whole, the red-light cameras achieved the city’s goal: they reduced accidents. But that wasn’t true everywhere. At some sites, there was no change. At several others, the number of accidents actually increased. The study also showed that most of the cars getting tickets belonged to people who lived in the city’s poorest neighborhoods. Well, Warren’s critics have argued, so what? Everybody has to obey the law. If poor people don’t want to get fines, they shouldn’t run red lights. And if the program has reduced accidents at most of the intersections, why should we end it? Because, as Warren says, it’s hurting poor people more than other people. 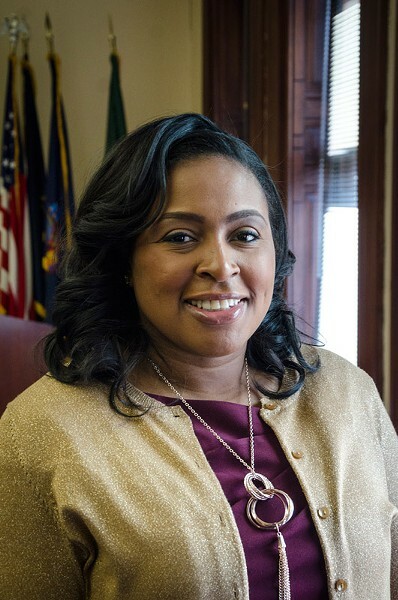 Rochester is engaged in an extensive effort to combat its extreme level of poverty. That’s not going to be easy. But we can’t fight poverty with one hand and increase it with the other. Tickets for the red-light violations are $50, and if you don’t pay that on time, the amount grows. Nobody likes having to spend $50 on a fine, but to Rochester’s poorest residents, $50 can be catastrophic. It can mean the difference between being able to pay the rent and losing your apartment. It can also threaten your livelihood. Many residents of Rochester’s poorest neighborhoods are the working poor, employed in low-paying jobs. There are almost no jobs in those neighborhoods, so if you’re among the working poor, a car can be essential. And if you get a ticket for a red-light violation and can’t pay the fine, police may boot your car. Which means you can’t get to work. First of all, more than half of the red-light violations were for a “technical violation”: not coming to a complete stop before turning right on red. Others were for stopping but with the front wheels just into the crosswalk area. These are not people roaring through a red light. These are many of us, who slow down, look to the left, see nothing coming, and turn right, or hesitate a second before putting on the brakes. And City Council member Elaine Spaull, who opposed the cameras when Council first approved them, says we could find other ways to reduce accidents: lengthening the time the caution light is on, for instance, and installing timers that show motorists and pedestrians how many seconds remain before the light turns red. Public policy – in housing, criminal justice, and other areas – has already done great harm to the poor, many of whom are people of color. But any time we find that a government program – no matter how well intentioned at the start – is disproportionately hurting the poor, we need to change it unless there is a compelling reason to keep it.